The new PHI strategic plan was developed by a taskforce including all heads of directorates at PHI. A staff day was organized to present and discuss the strategy with all PHI staff on the 29th November 2017. 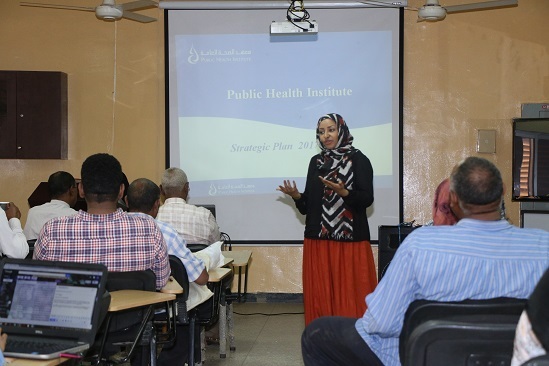 The day started by presenting the strategy outlines by Dr Eiman Hag. Then, the floor was opened for discussion on the new directions for the coming five years. All staff was engaged and participated in the discussion which ended by setting recommendations to achieve the strategic objectives. Furthermore, all directorates conducted small meetings to phase out the strategy into five years. .